When the Make-A-Wish Foundation found out that Solomon's favorite bowler was Sean Rash of Montgomery, the organization brought the two together. HAMMOND, Ind. 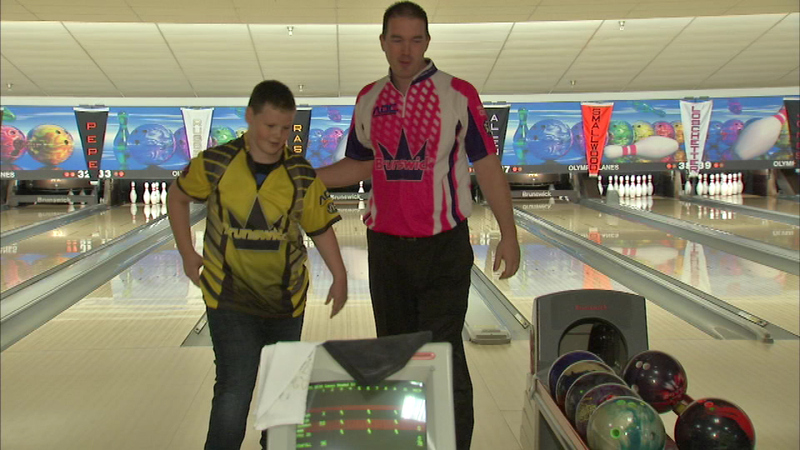 (WLS) -- A professional bowler made a boy's wish come true Wednesday night. Solomon Wohrer, 11, is being treated for a form of bone cancer, but he also likes to bowl. They bowled several frames tonight at Olympia Lanes in Hammond, Indiana. Solomon will also attend the tournament in which Rash is competing.